Expanding on last years fair, Moniker Art Fair will extend their 30,000 square foot fair space outdoors, showcasing the first-ever Formula-E art car by renowned British street artist D*Face, as part of their ongoing collaboration with Kaspersky Lab. UK artist D*face talks about his partnership with Moniker and Kaspersky Lab as he explains his creative design process in the video above. 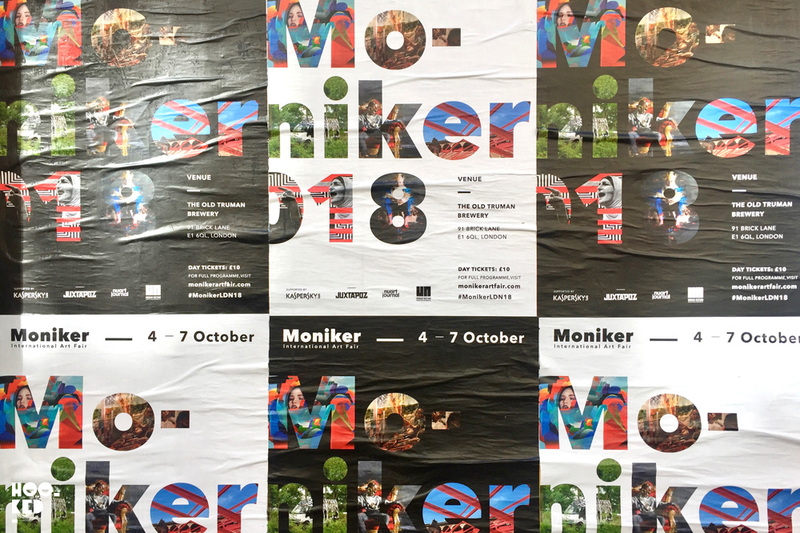 For the 10th edition, Moniker Art Fair has also partnered with Berlin’s Urban Nation Museum to present ‘UNCENSORED, a wholly unfiltered and unrestricted celebration of the revolutionary elements of urban contemporary art. UNCENSORED will see 10,000 sq.feet within the fair filled with immersive installations that provides a platform for the artists unafraid of calling out the injustice we are currently experiencing across the world, those who have understood that the evolution of urban art does not mean abandoning its core values. Fair Director of Moniker Art Fair, Tina Ziegler, says: "we welcome Moniker's guests to explore a number of thought-provoking, groundbreaking installations, created by some of the most important pioneers within the urban and contemporary world, curated in collaboration with Urban Nation and the support of Kaspersky. 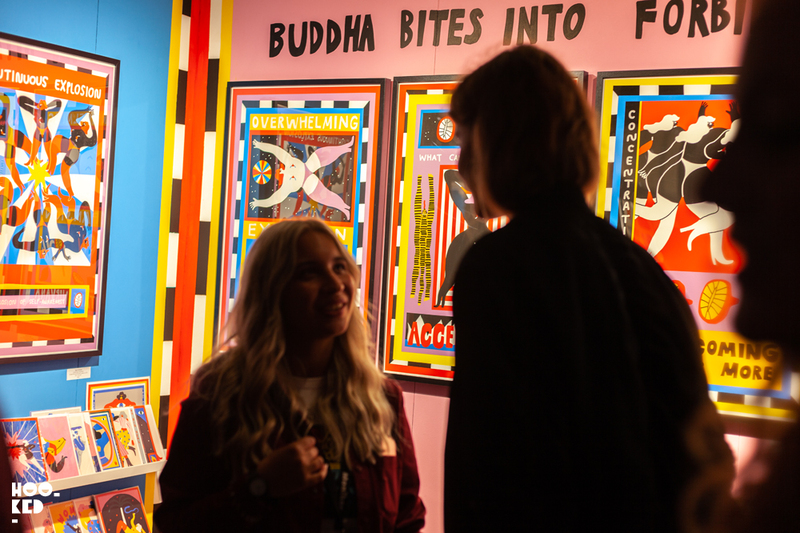 There aren't other events bringing these people together in the UK – it's a rare chance to see some of the most exciting international artists at one event while enjoying curated talks, films, immersive installations and so much more." Collectors & Curatorial Tour, by Fair Director Tina Ziegler and Urban Nation Museum Director, Yasha Young, Introduce the UNCENSORED Installation Hall. Landmark Gallery presents Live 1p portraits by artist Tabby. 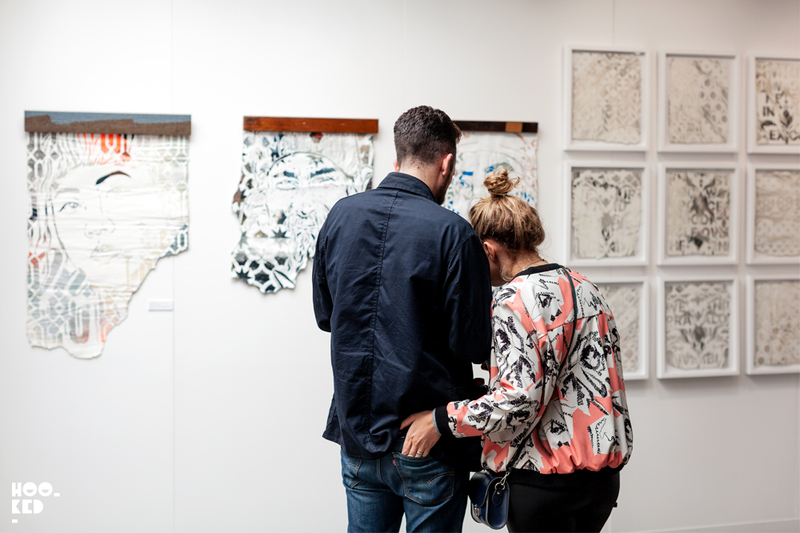 Collectors & Curatorial Tour, by Fair Director Tina Ziegler. Nuart Plus x Moniker talks programme: Nuart Plus presents a series of artist talks, presentations, panel debates and films from some of the worlds leading artists, scholars and industry professionals in critical street art practice. Film Screening: "X Art" which highlights artists’ work containing strong social and political messages, while meeting with those who reveal why and how these artists and their work becoming so attractive to the public and the “ART WORLD”. 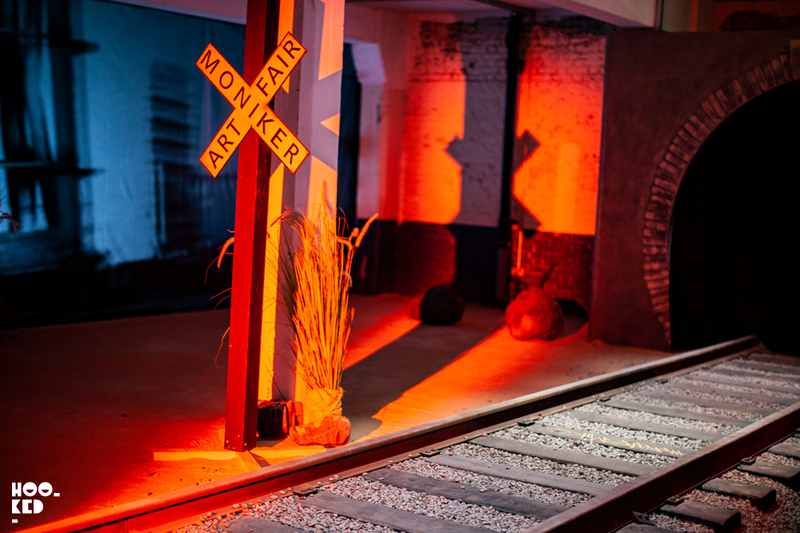 Visit the Moniker Art Fair website for the full extensive four-day fair program of events, talks, print launches, book signing, and screenings. Tickets are available in advance from the Moniker Eventbrite webpage here. The fair runs from Thursday, 4 Oct 2018 – Sunday, 7 Oct 2018. The nearest tube stations are Liverpool Street station and Shoreditch Overground station. The Old Truman Brewery has three public car parks which are situated outside the Congestion Charge zone - Elys Yard Car Park, Brick Lane Car Park and Grey Eagle St. Car Park.